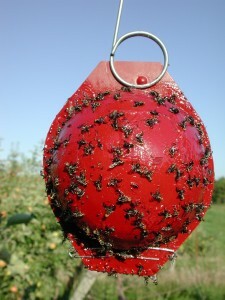 Apple maggot trapping using baited red spheres. 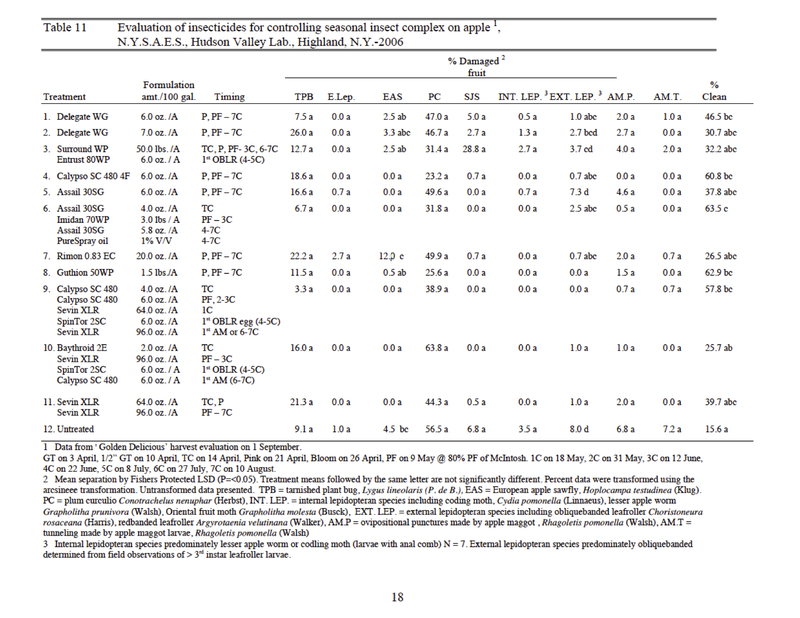 Synopsis: Our late emergence of AM flies in the Hudson Valley this season has developed quickly with threshold in blocks with high fly pressure and ideal soil moisture. These are often adjacent to abandoned trees, blocks with severe hail last season under little to no late season insect pest management. The continuing rains provide moist soil, ideal conditions for high emergence. We observed 13 flies during the past 5 days in our ‘Pond Block’, and recommend management in high maggot pressure blocks of early maturing varieties such as Ginger Gold. Codling moth should also be considered as larval emergence is predicted over the next 8 days. See CALS Tree Fruit Guideline options below. 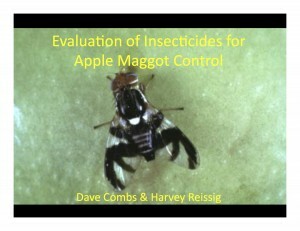 Overview: Apple Maggot adult fly (AM), Rhagoletis pomonella Management should be based on insecticide efficacy to control apple maggot, residual efficacy especially with regards to weathering, and days to harvest of the earliest varieties on the farm. Secondary management considerations should include the lepidopterian complex including the 2nd generation codling moth. Codling moth began its emergence flight over the weekend with predicted 1st hatch of CM larva expected on the 27th of July. The Obliquebanded leafroller traditionally occurs mid-August. Management: Older classes of insecticides such as the carbamates, organophosphates and pyrethroids provide high levels of mortality fo the apple maggot fly. They provide long residual activity under weathering and inhibit egg laying. One of the challenges we face today is the lack of direct contact and residual efficacy of many of the newer insecticides to kill the AM fly before it oviposits into the skin of the fruit. Yet, this may not be as important as one might think. The neonicotinoids can prevent the fly from laying eggs into the fruit, yet they produce lower levels of mortality of the fly, allowing adult AM to persist in the orchard late into the season. 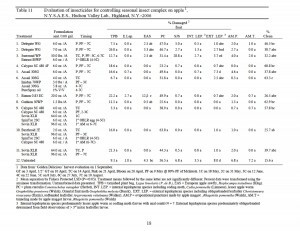 If there is significant rainfall on fruit treated with neonicotinoids, there is often a reduction in residual activity that may lead to AM punctures. Many of these with few or no eggs present in the sting or puncture of the apple. 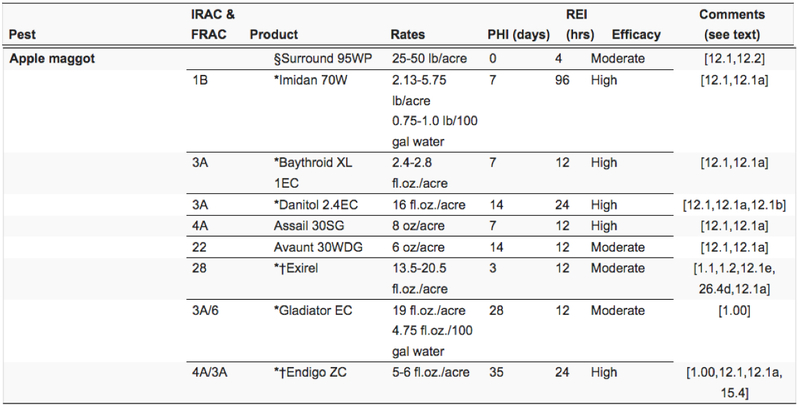 That stated, traditional IPM based use of the baited red sticky spheres, which has been successful at monitoring the onset of AM emergence and treatment threshold, may not prove to be a strong tool for use in signaling reapplication when neonicotinoids are used. Once AM spheres have been ‘reset’ (cleaned), AM flies may reach the 5 fly per trap threshold more quickly using neonicotinoids that have high egg laying deterrence but low adult toxicity. Instead, the use of neonicotinoids such as Actara and to a lesser degree Assail, will need to be applied at a 10-14 day window despite high trap captures immediately after orchard treatments into September. AM seasonal ovipositional preference as per variety. Assail is a very effective insecticide at managing the AM fly, and has a great fit for the onset of 2nd generation codling moth (CM). In general Assail has excellent efficacy against the internal lepidopteran complex such as CM, OFM and LAW late into the season, yet weak on the leafroller complex including obliquebanded leafroller (OBLR). 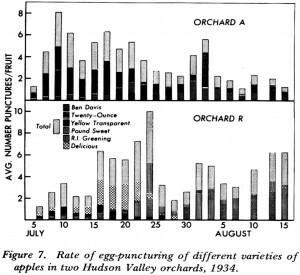 To drive this point home, in page 9 of a presentation by Dr. H. Reissig in 2010, Harvey confirmed the ability of AM to ‘sting’ fruit yet produce very few eggs employing many old and new insecticides against the AM. In this comparative study, he demonstrated the efficacy of Assail (acetamiprid) and the ole standard, Guthion (azinphos-methyl) to be about equal in control of AM tunneling from larva. 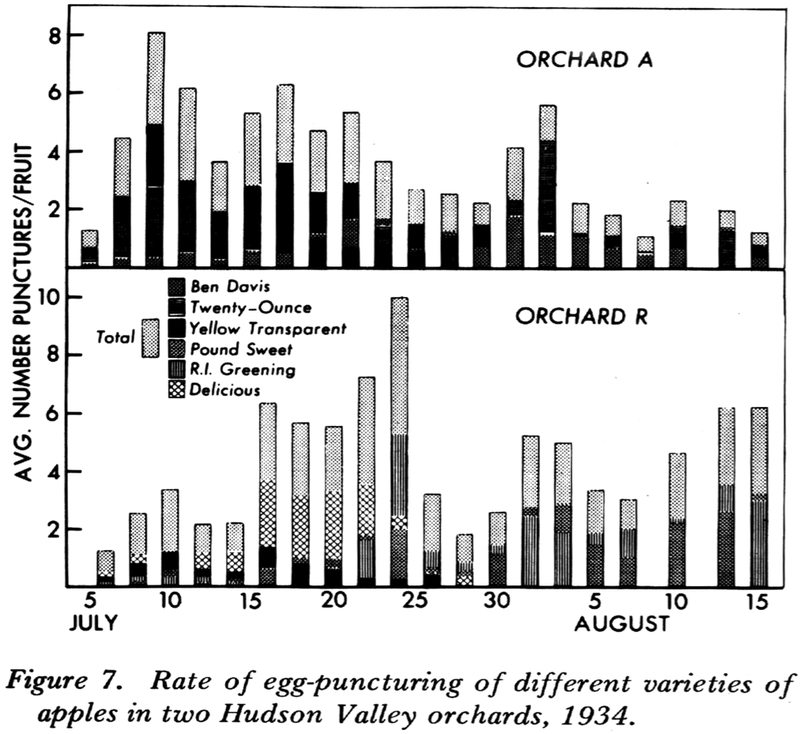 Additional studies reinforce these findings of comparative studies using Guthion, shown in 2006 field efficacy studies conduced at the Hudson Valley Lab research orchard.